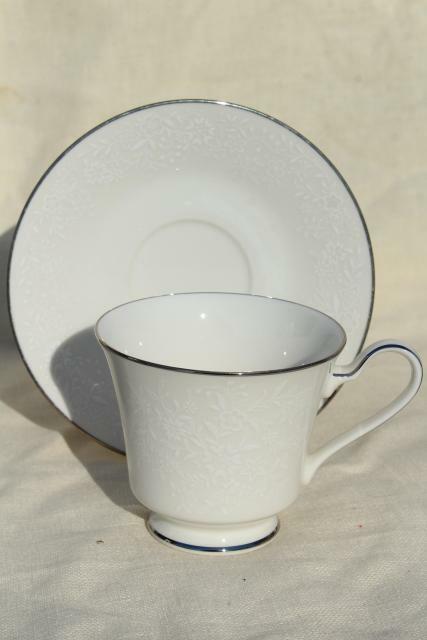 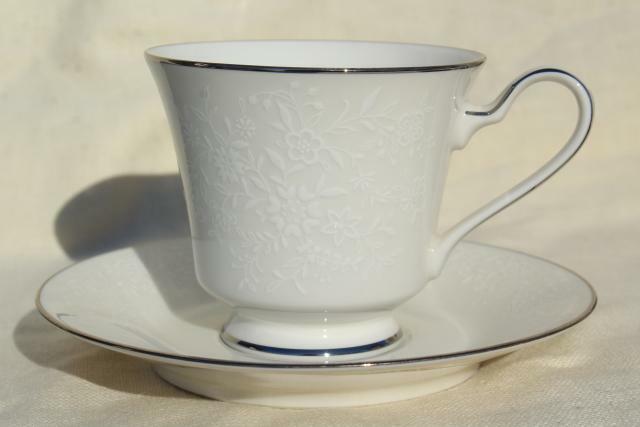 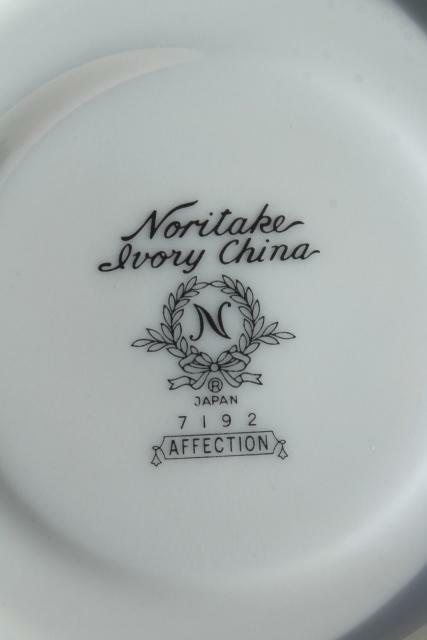 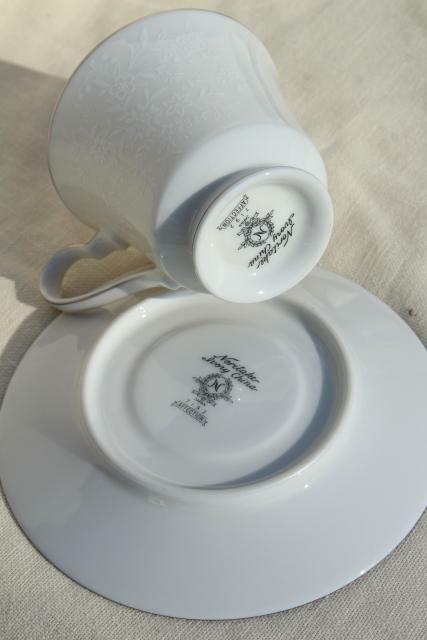 Lot of five vintage Noritake china cup and saucer sets in the Affection pattern, white on ivory white with silver band trim, marked with the Noritake N mark. 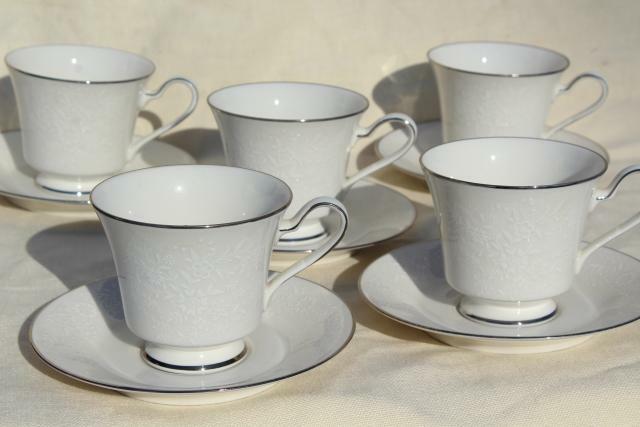 These are used, but in very nice condition without chips or cracks, showing little wear, and only slight tarnish to the trim. 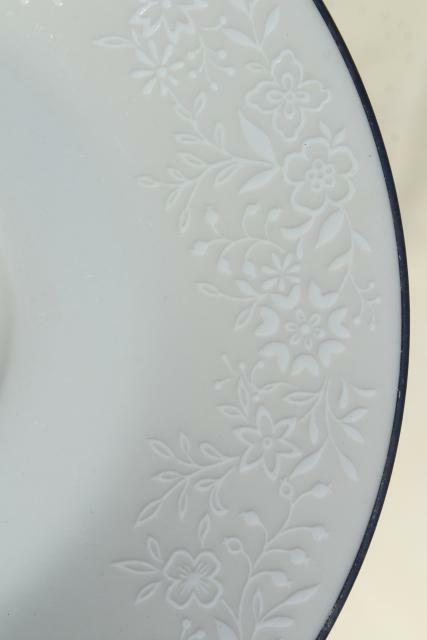 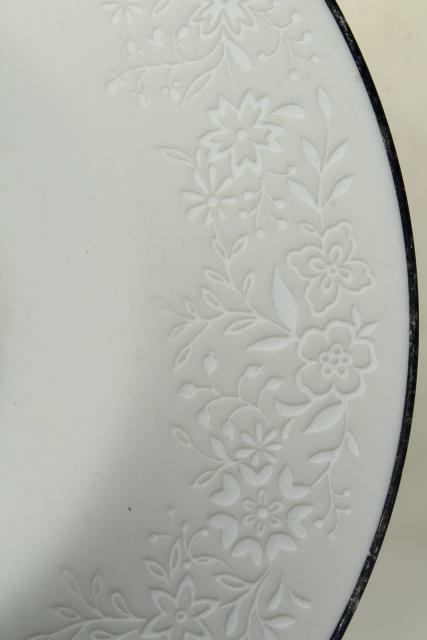 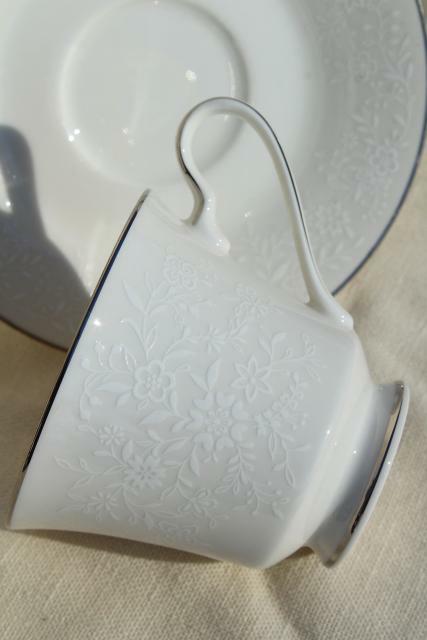 So pretty, with the white chintz pattern floral.